My name is Martin Dubuc. I have been playing Magic since Fifth Dawn. For some obscure reason, I was drawn very early on to the multiplayer format, playing Emperor at drafts and free-for-all with friends. The first decks I created were 60-card decks with a multiplayer focus. 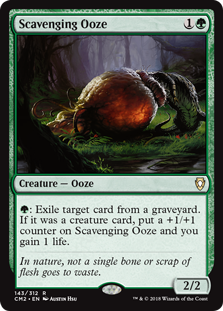 When MTGO grew in popularity, I played Standard for a while, and really enjoyed it, but after a couple of rotations, I just could not bear cleaning the slate every year, leaving behind such gems as Snapcaster Mage, Noble Hierarch, Verdant Catacombs, and mechanics like Scry or the Phyrexian mana. Around the same time, I started reading about EDH. 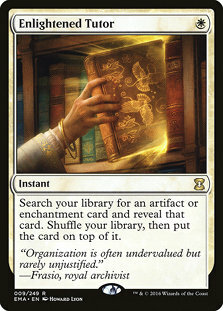 I was really attracted by the Eternal aspect of the format. Since my main focus at the time was multiplayer, it seemed only logical that I embraced this new format. I created a number of decks to host an EDH event for my friends. I read a lot on the meta, spent time balancing decks, revisited the strengths of the different colors. I realize today that I probably enjoy the deckbuilding aspect more than actually playing the game! Which brings me to this article today. Wouldn’t it be nice if you could figure out which card actually gives you an edge in your deck? 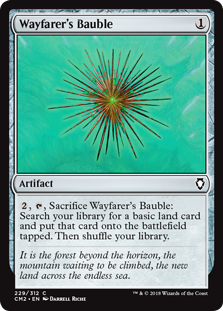 Is Sol Ring any better than, say, Cultivate? Are you better off with Counterspell or Disdainful Stroke? Just looking at the EDHREC card database to figure this out, you would find that Counterspell is present in 58,335 decks while Disdainful Stroke is present in 6,650 decks. 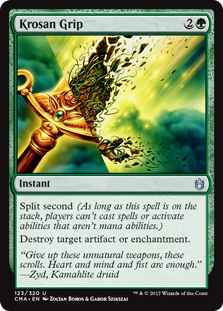 But is Counterspell that much better than Disdainful Stroke? Can we back this up with real gameplay data? In this new series, Pursuit of Knowledge, we will explore the strength of different cards based on gameplay data and EDHREC statistics. We will try to identify outliers, cards that fail to shine as expected, and more importantly, hidden gems, cards that should be better valued by EDH players. Recently, the Command Zone team released two podcasts: “Exactly How Good is Sol Ring?” and “Which Color Is the Strongest?” which presented results from analyzing over 300 Commander games. Some of their observations are mind-boggling. For instance, playing a Sol Ring or Mana Crypt in the first three turns could actually decrease the chances of winning a game by 4.4%. 4% that it would be detrimental. 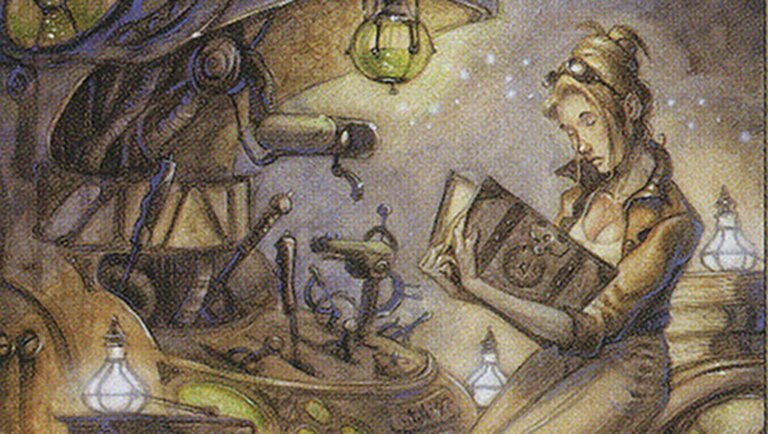 So, if we’re basing deckbuilding choices on players’ instinct, are we missing the point? Toward the end of the second podcast, Josh and DJ talked about individual cards and how some of them performed better than what was expected of them. 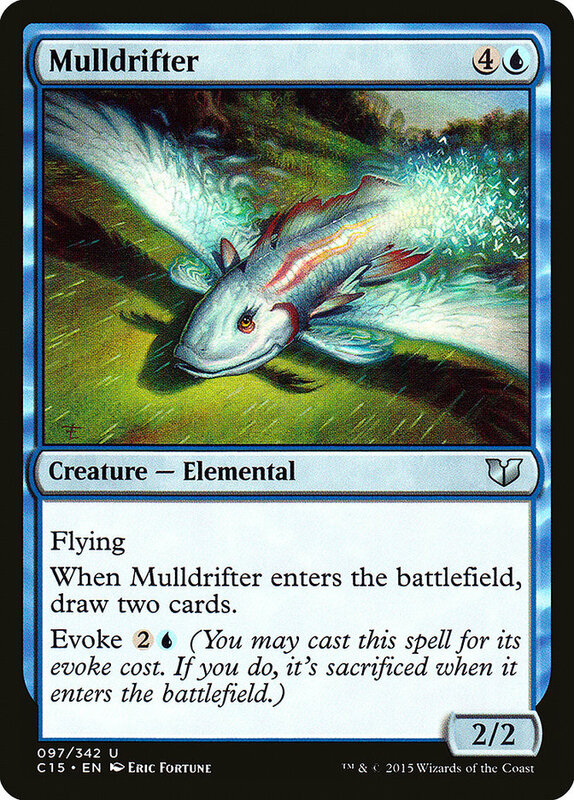 For instance, Mulldrifter was in ninth place as far as most played card in the games they surveyed, but jumped to fifth place as far as presence in the ‘winningest’ decks. As another example, Enlightened Tutor was present in 27% of the decks, but 39% of the winning decks had Enlightened Tutor in them. The Command Zone team was kind enough to make their data public and I was very curious to find out more about card performance. 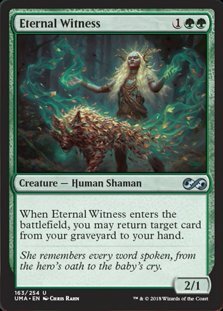 Were there any cards that fared much better than expected? Were there cards that were actual duds? Some of the results are quite surprising. A couple of observations about the methodology before we start. First, the sample size of the games surveyed is not very large, so this is not a scientific experiment. We should also account for the fact that the data was collected from content creators such as MTG Muddstah and CZ’s own Game Knights, which means that the data could be self-selected in favor of the most entertaining gameplay, as some of the less YouTube-worthy recordings might have been left on the cutting room floor. 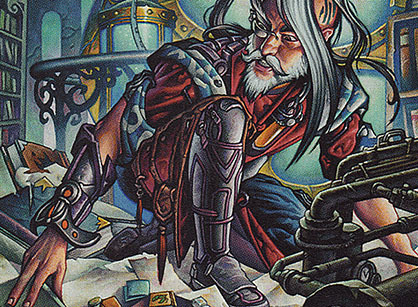 As another example, Commander VS, whose videos were also used, is well-known for doing fun themes with their gameplay videos, which also isn’t what you might find a typical EDH evening. Despite these biases, I do think that the sample is enough for us to report on some interesting trends. 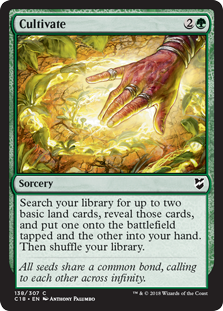 Second, when deciding if a card was part of a winning deck, the Command Zone team did not watch each and every game from start to finish to figure out if a card was played or not in the winning game. Instead, they recorded it as part of a winning deck simply if it was present in the decklist. I did the same. If we would actually know all cards that were played for each game, then our results would be much more precise. One would hope that we have a large enough sample size that this would not matter, because on average, the cards would come out often enough that we could see a trend. I did take some measures to circumvent this problem however, for instance by eliminating cards that did not appear often enough. There’s so much data to digest, so many cards to evaluate, that it is not possible to present the results of this analysis in one article. For today, let’s look at some general results and some in-depth result based on card categories. In future articles, I will take a look at the results in the context of different color combinations. Sol Ring was played in 810 of the 1,264 decks. However, it was only played in 204 winning decks and 606 losing decks. If Sol Ring was as good as CZ’s Twitter poll deckbuilders thought it would be, it should have been in 64% of the winning decks. Instead, it was in 50% of the winning decks. If we order the cards by win percentage, Sol Ring ends up in the 222nd spot out of 9,319 distinct cards used in the surveyed games (not bad, but a bit far from what we would expect). Now, ranking can greatly be influenced by the commander’s color identity. For instance, in the data mentioned above, to be able to compare cards from all colors together, I used a five-color color identity. 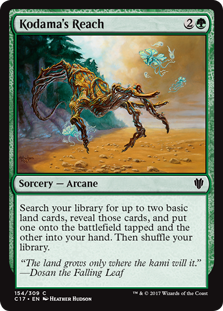 In this scenario, Swords to Plowshares is ranked 457th, most likely because there are better creature removal spells in other colors. 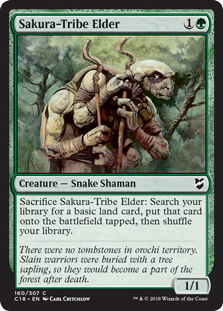 However, in a mono-white deck, Swords to Plowshares is ranked 94th. 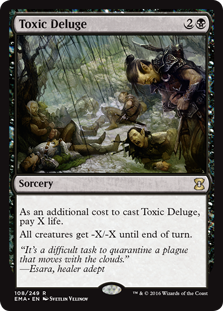 This is not as good as expected (8th most played card in mono-white), but better than in a five-color environment. As a side note, Path to Exile seems to fare much better, sitting at rank 25. 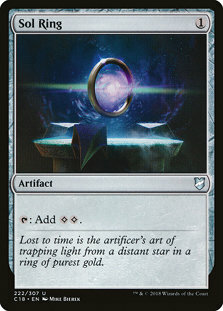 If we look at Sol Ring, in a five-color deck, it is ranked 222nd. However, in an Orzhov build, it ranks 95th and in a mono-white build, it now sits at 39. It is interesting to note that Izzet Signet at 22nd place is the only Signet in the top 100 cards (Orzhov Signet at 227th place is the second-best). 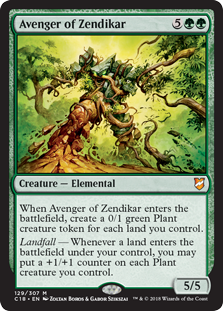 It is not too surprising to see that the most effective mana ramp cards are those that bring lands to the battlefield as opposed to artifacts that produce mana. The Command Zone gameplay stats found that the player with the most lands at end of game won 40% of the time compared to 18% for those who had less lands at end of game. With the exception of Shriekmaw, the best disruption spells are able to deal with multiple card types. 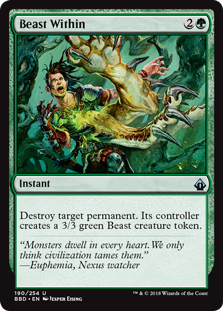 Beast Within, Disallow, Disdainful Stroke, and Abrupt Decay can target permanents of any type. Krosan Grip and Nature’s Claim can target any artifact or enchantment. Putrefy can target creatures and artifacts. There seems to be is a good balance between black, green and blue as a source of card advantage. Card advantage is an important aspect of a winning strategy and this might explain why black, green and blue have been found to be the best three colors to play according the Command Zone gameplay stats. It is hard to understand why a card like Crux of Fate would perform better than a card like Damnation, unless it would always be played in a deck with Dragons. Another guess is simply that price kept Damnation out of many players’ hands, so Crux was the option folks turned to as a replacement. 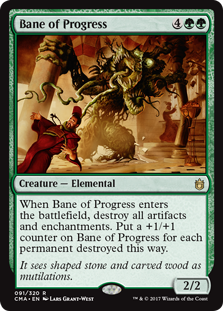 For the other cards, there is a consistent additional upside to clearing the board (only destroying enemy creatures, gaining life, drawing cards, only affecting cards of a certain toughness or CMC cost). 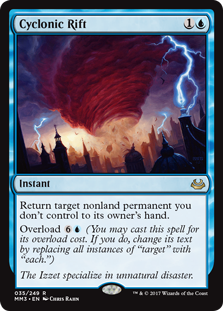 This might explain why cards like Wrath of God, Day of Judgment, Austere Command or Nevinyrall’s Disk are so low down the list. According the Command Zone gameplay stats, 11% of the players are eliminated by combos. This may explain why we see Laboratory Maniac in the above list. That’s it for today. In the next article, I’ll delve into the color combinations by presenting the findings for the best performing cards for Golgari commanders, and brew up a Golgari EDH deck using those recommendations.